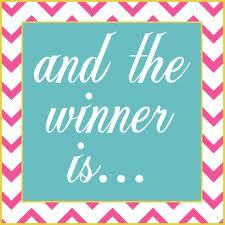 The winner of the Anolon Grill Pan is Heather congrats and thanks for entering I will be emailing youshortly. You have 24hrs to get back to me. :). Thanks again for everyone that has entered. I will have more giveaways coming up within the next couple weeks. Keep coming back to visit. Have a great rest of the week.